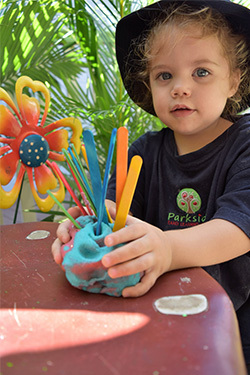 Parkside Early Learning Centre is family owned and that runs Kindergarten, Gympie’s only Bush Kindy, Yoga, Second Languages, Sport & Music, provides all Meals and Nappies, surrounded by beautiful Parklands, plus more. 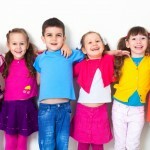 We are a professional family owned and operated child care centre centre. We really care. 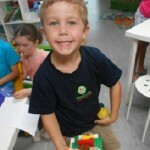 Owners Carolin and Andrew Riley are both early childhood educators and run the centre hands-on. We invite you to learn more about Parkside by calling or booking a tour today! Come and see what makes our approach to early-childhood education stand out above the rest. Welcome to Parkside Early Learning Centre. 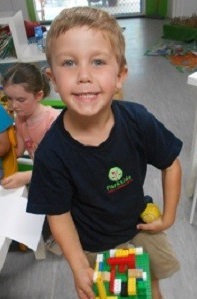 Parkside ELC is an independent, family-owned child-care experience unlike any other. We successfully develop, equip and prepare children for life. We are a new Early Learning Centre established in 2015 although the facility has been around for a number of years. The program is based on the principles of respect, responsibility, and community through exploration and discovery in a supportive and enriching environment based on the interests of the children through a self-guided curriculum. 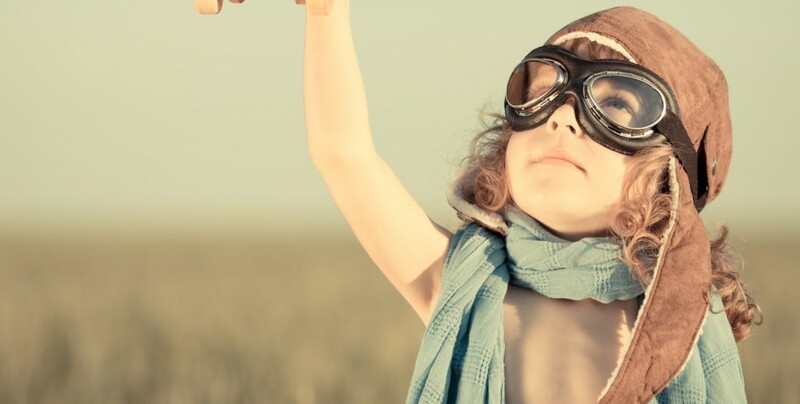 We believe that all children are capable, independent, and curious thinkers. Creating authentic experiences, meaningful relationships and stimulating environments is our secret to capturing your child’s heart and mind everyday. We consider your children to be a part of our Parkside family, and we are honoured that you would entrust your child in our care. Our promise to you is that we will strive each day to create an environment that each child will thrive in all areas of their development. We invite you to learn more about Parkside by calling for a tour today! Come and see what makes our approach to early-childhood education stand out above the rest. “What a relief to have such a caring, friendly and professional childcare centre like Parkside Early Learning Centre available to us! I am a full time working mum with 2 children who attend the after school and vacation care programs at Parkside. The staff are not only friendly and caring, they are also all professional and highly motivated to provide the highest care and learning environment for my children. The obvious other major draw cards are the courtesy bus, the nutritious meals provided (where they have managed to get my son to eat amazing food he won’t eat for me!! ), the convenience of the centre with the beautiful park side surrounds which the Centre takes full advantage of and the amazing improvements and upgrades the new owners have made. We are a professional family owned and operated centre. We really care. We are located on a residential street with easy access to nature, where we get to enjoy beautiful parklands next door regularly and spend time observing the sights and sounds of nature up close! Limited transitions between classrooms. Children will spend a minimum of one year in an environment. Compare the services that Parkside ELC offers in comparison to other Child Care services. You can see all the additional value we can add to your children's learning. Pre-prep & Kindergarten is for children the year before they start school. Parkside Kindergarten is a registered Kindergarten with the Queensland Government approved to deliver the state based Kindergarten program. The Kindergarten program runs 5 days a week. This program is supported by our Bachelor qualified Kindy teacher and is the best start you can give your child entering the Prep year at school. Parkside Kindergarten is also the only program in Gympie to run Bush Kindy in the beautiful parklands next door. The Senior Kindy covers the ages 3-4 years. In this age group children would have gained a high level of independence and have a strong input into what goes on around them. We aim to get them more involved in their daily planned activities and focus on their strengths and interests to provide stimulating activities and experiences for them. 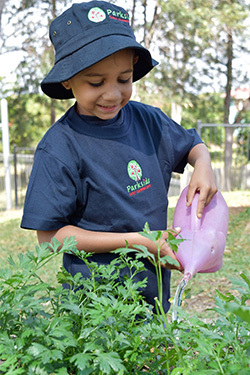 During the Senior Kindy year we focus on positive social and emotional skills, literacy and numeracy skills and work on preparing them for a successful transition to the government approved Kindergarten program that is run at Parkside. 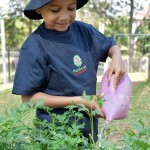 Junior Kindy is for ages 2-3 years. The children will have a greater sense of independence, their language skills will develop hugely and this helps them to build friendships and communicate their needs better with the people around them. This age group is very busy. 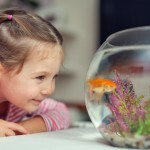 We will support them by providing activities that feed their natural curiosity and help them experiment. We focus on gross- and fine-motor skill development by setting up obstacle courses or doing music and movement sessions. Art and craft activities will stimulate their creative side and educators are constantly walking alongside children to support their social and emotional development in a positive way. Our toddler room covers the age of 15 months to 24 months. This is a busy little room! Toddlers are true explorers and are into everything! 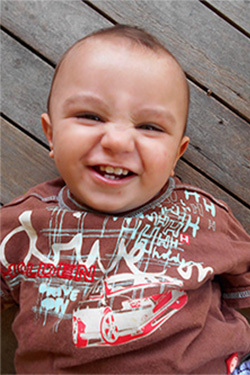 During the Toddler stage children continue to mainly learn and explore with their senses. Our educators program for this by offering lots of messy play, art activities, singing and dancing, cooking, outdoor exploration and physical play. At this age we focus on teaching basic social skills like using gentle hands with others, using manners and practise first sharing and turn taking. Educators also challenge our Toddlers’ language development by reading to them daily and encourage the use of new words. Our Nursery is for ages 6 weeks to 15 months. Those first few months of a child’s live are precious! The base for this at Parkside are nurturing relationships between the baby and the educator. 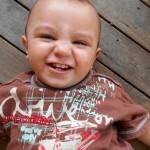 Babies use all five senses to begin exploring the world around them. Our educators provide a safe environment with lots of sensory input through music and singing, gentle touch, challenge back strength through tummy time and support when learning to roll, crawl, stand and walk. It is vital that educators also build strong relationships with the babies parents or carers to provide a fluid care environment between the home and the service. Parkside provides all baby food, nappies and wipes too. School aged care covers the ages 5 – 12 years and offers before school care, after school care and vacation care. During school term time children will be dropped off to school or picked up from school by our courtesy bus service. Children can enjoy a relaxing and fun time at the centre with their peers. They are offered age appropriate activities and toys and are encouraged to complete their homework tasks. During the school holidays we offer special event days like cooking days, craft days or sport and game days as well as excursions to places like Gympie Ten Pin Bowling, Gympie Jungle Gym or the library. As only a new family to Parkside all ai have to say is wow! Family owned and operated is a huge thing and the owner Mr Andrew is amazing, barely talks to me but he completely focus's on my children, even getting down to their level to talk to them. The other team members are all fantastic, my toddler and 8yo love it there. Cannot fault them :) Highly recommended! Amazing. Amazing educators, my son loves it there and I’d recommend parkside early learning center to everyone! The owners Andrew and Carolyn are awesome. They are hard working honest folk who have created an environment where the staff are thriving . As a result the children and families are really well looked after. Could not rate them highly enough! After returning to work fulltime i starting looking at all the daycare centres in gympie. I found it quite daunting to be putting the trust of looking after my son in someone elses hands. After finding parkside early learning centre with their amazing staff, very accommodating and friendly nature was a wonderful relief. Now 7 months later my son is growing mentally in leaps and bounds, and it is now a struggle to get him to leave in the afternoons. Thankyou to all the parkside staff for their amazing contributions to make my son feel safe, and expand his learning capabilities. Last year we were looking around for a new kindy for our son, we visited Parkside and 9 months on my little boy still talks about how great the place is, sadly we didn't put our little guy in at Parkside only because school was starting within a few months, we do however look forward to sending our littlest one to Parkside, when the time comes for him to start. We love seeing the owners of Parkside at community events and it really shows how committed they are to the children of Gympie region, as a mother of 3 and someone who has worked with children for 9 years, I know a quality centre when I see one, it also just has that vibe a parent needs to reassure them when they walk in and look around, all the staff and the owners should be incredibly proud of there hard work, we look forward to being apart of the Parkside community in the future. 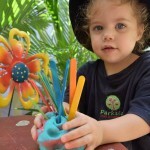 Parkside is definitely one of Gympie's best child care centres. Andrew has carefully picked his staff and it shows. They are all wonderful. My kids love coming to day care. My daughter's speech has improved since interacting and communicating with other children. They learn new things everyday and love all the different activities. Yogo is one of their favourites! I can't thank the staff enough for being so kind and Caring to my girls. A wonderful centre with lovely educators who are fantastic with the kids. We investigated all the centres in town and this was the only one where my baby daughter relaxed, smiled and interacted with the staff. On picking her up after her first day, I came in to hear her laughing, not to mention the lovely little photo collage. Can't rate this place highly enough! The smiles on the kids faces say it all! Andrew, Carolin and all of the teaching staff put their heart and soul into this place on a daily basis and it definitely shows. Whilst having healthy meals prepared for the kids definitely takes a weight off my mind. This place is fantastic. So much to offer and great staff. Personally, I love having the meals done for me and my kid loves the music program! This is a great family and learning centre. Love the sports and language programs. Definitely a great development centre for children! Great family owned centre. Always upgrading centre and creatively working with the kids. Great friendly safe feel. Meals provided which is so easy and great music program which is awesome. We love this centre. They have kind caring teachers and we love that they teach foreign languages. We also love the way that Mr Andrew and Miss Carolin are excited to be teaching young children, with their own children in mind. When my son 1st started at parkside we both cried, it was our 1st day away from one another!! The Teachers were amazing!! They managed to settle my than two year old down like magic and to my surprise he wanted to keep coming back!! My son has leant so much since signing up at parkside!! His ABC being a proud moment � but... most importantly he has endless fun with friends and staff in a friendly, safe environment. I absolutely love all the painting, crafts and photos he brings home just for mum and dad, they melt our hearts. The new free healthy breakfast/lunches are great too even for my little fussy eater. Definitely give parkside a go you won't regret it!! I work at Parkside as the Early Childhood Teacher and never been happier..I am passionate about teaching young children but I know Carolin and Andrew the owners are more passionate along with all the staff who share their days with the children in their care.